If you live in Miami and haven't heard about Tropical Storm Isaac, get with it! 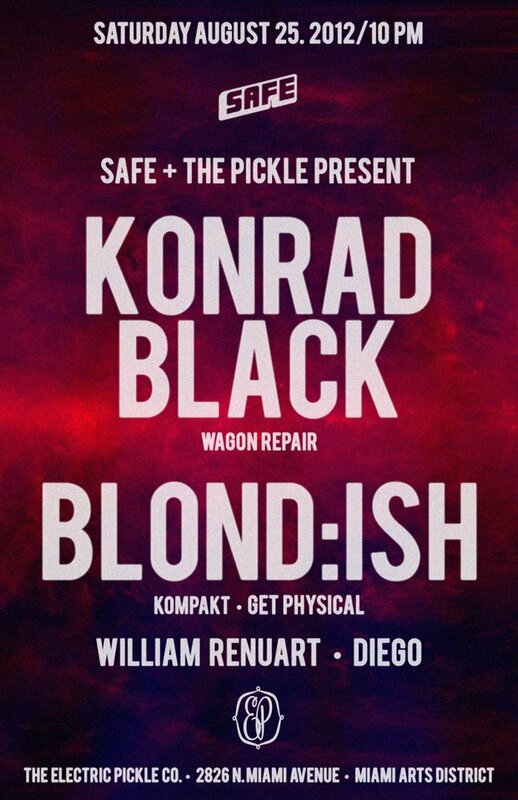 On that note, there is probably going to be a lot of wind and rain next week, to celebrate that Blond:ish is going to make you do much more than just a rain dance this Saturday night at The Electric Pickle. Presented by SAFE and The Electric Pickle, and hosted by Miami based Kloud IX Entertainment both Konrad Black and Blond:ish will be playing early sets outside, and upstairs later in the evening. Released earlier this summer, Blond:ish's Strange Attractions EP [Get Physical Music] features 2 tunes with 2 great basslines that you'll be sure to lose yourself in. Depending upon how big the storm is, it may be your last chance to go out for a while, like 3 days! So get your presales via Resident Advisor here. Also for set times and event info, refer to the link via facebook here. See you Saturday night!